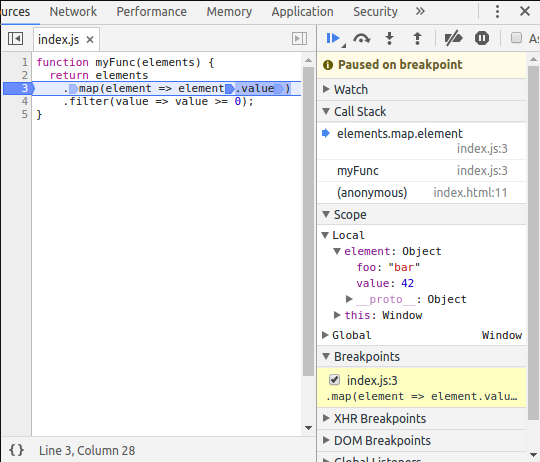 How to set a breakpoint at a lambda call in Google Chrome DevTools? it will only pause when map is executed, but not when the lambda function is executed. 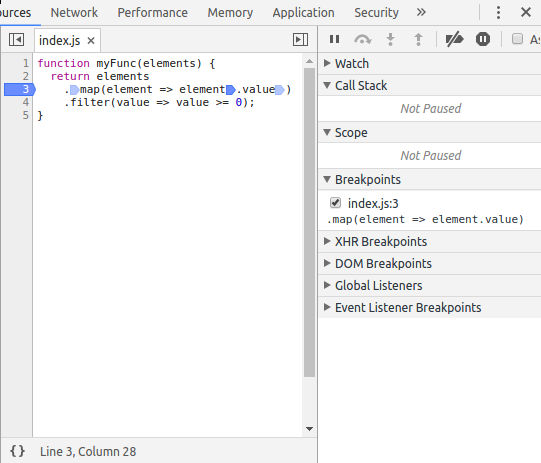 Email codedump link for How to set a breakpoint at a lambda call in Google Chrome DevTools?